Episode 6 w/ Jessica Messmer and Kayla Maldonado of Cup & Kettle Tea Company: In this episode of Gather Stories I get to sit down with my dear friends with Jessica and Kayla who own the tea shop, Cup & Kettle located at 208 N Walnut St Suite 100, just down the street from us at Gather in Bloomington, IN. 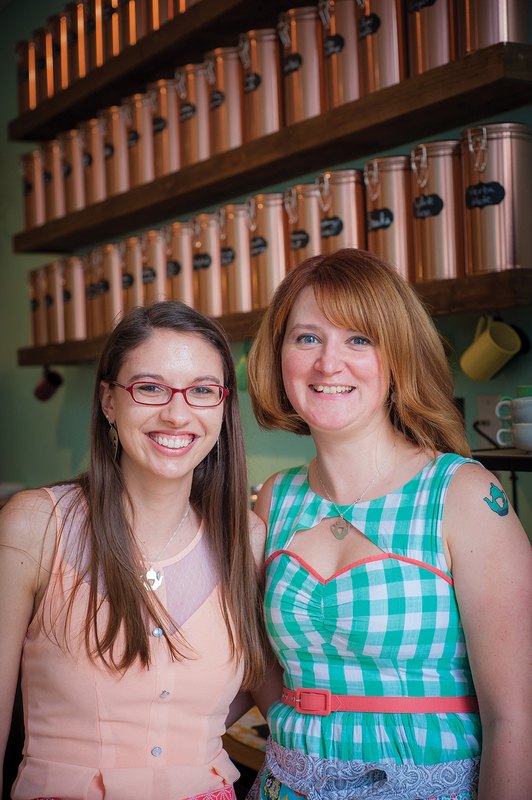 The ladies behind Cup and Kettle Tea met while serving at a Bloomington restaurant. They both had their own handmade businesses at the time. Jessica and Kayla are long-time Lovers of all things tea and after having searched for places to enjoy tea and coming up empty-handed, they decided to go into the tea business themselves. Creating much buzz around their tea line while searching for a permanent home, Jessica and Kayla took it slow and relied on social media to get the word out about their tea line, and future tea shop. Just a few years later, here they are, serving delicious teas and scrumptious treats out of the cutest tea shop Bloomington has to offer. You can visit their tea shop in person at 208 N Walnut and enjoy a relaxing cup of tea with some locally made treats. You can also find their teas for sale at Gather.